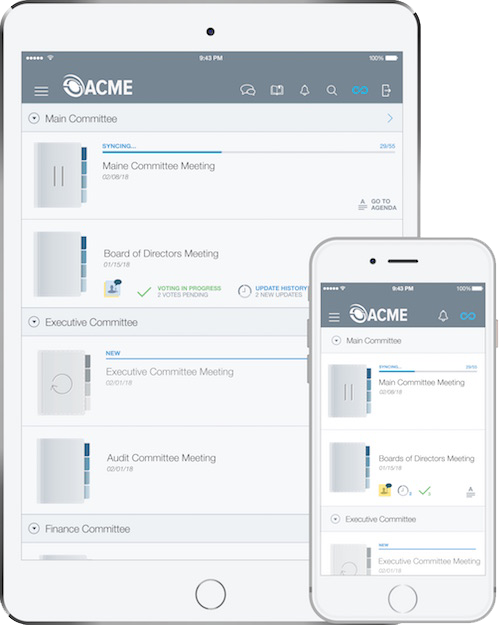 Governance leaders, executives and board directors rely on our industry-leading board management software for the most secure and intuitive solution to board documents, collaboration, voting and resolutions. With all your documents stored in our industry-leading, secure data centers located in your region, board activity is simple. 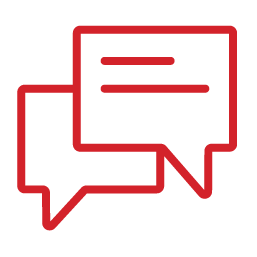 You can easily manage agendas, annotations, documents, discussions of board meetings and minutes quickly and securely. 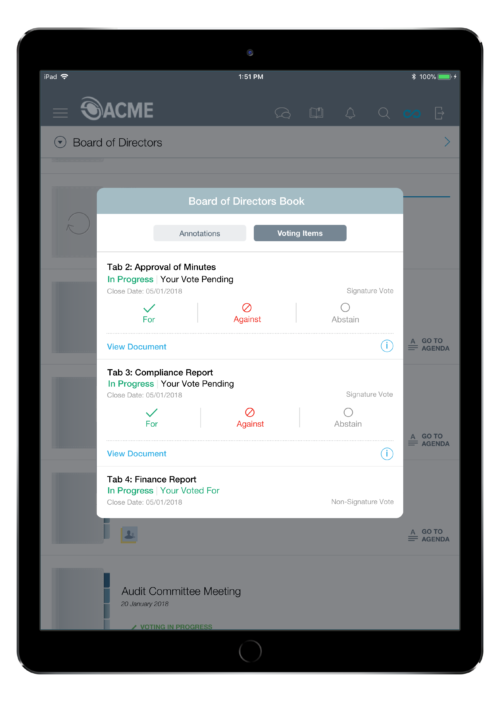 Directors can access real-time updates to board materials anywhere on-the-go from their phone, tablets, computers or even offline. Manage board committee decisions and materials in a dedicated space. 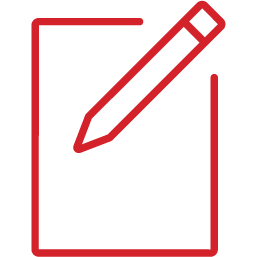 Annotate documents, manage paperless notes or comments and get real-time notifications for any changes. 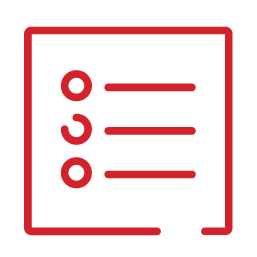 Directors can complete questionnaires, ask questions, place votes, sign board meeting minutes and more at any time of the day, anywhere in the world - both online and offline. If a director is having a problem, they can call our award-winning, white glove customer service team and talk to an actual person through any of their questions. 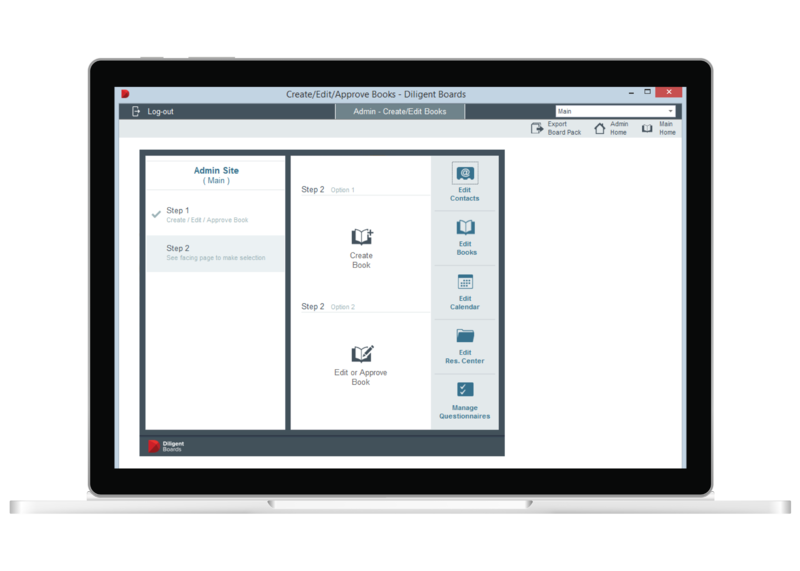 Built with security in mind, our board portal software is easy-to-use, intuitive and helps to streamline the work of assembling board documents . Building board agendas, managing approvals for a resolution and creating board meeting minutes should not be a burdensome task. Drag-and-drop book building gives you the ability to duplicate forms in a faster and more effective way than traditional board books.